Investors and residence'! Welcome to Fernwood Manor! Move in yourself or bolster your investment portfolio and rent it out! Not many condos are made this big anymore! Very well kept 880 sqft 1 bedroom 1 bath condo in the heart of Abbotsford! 2 underground parking spots and storage! New laminate flooring in hallway and kitchen. 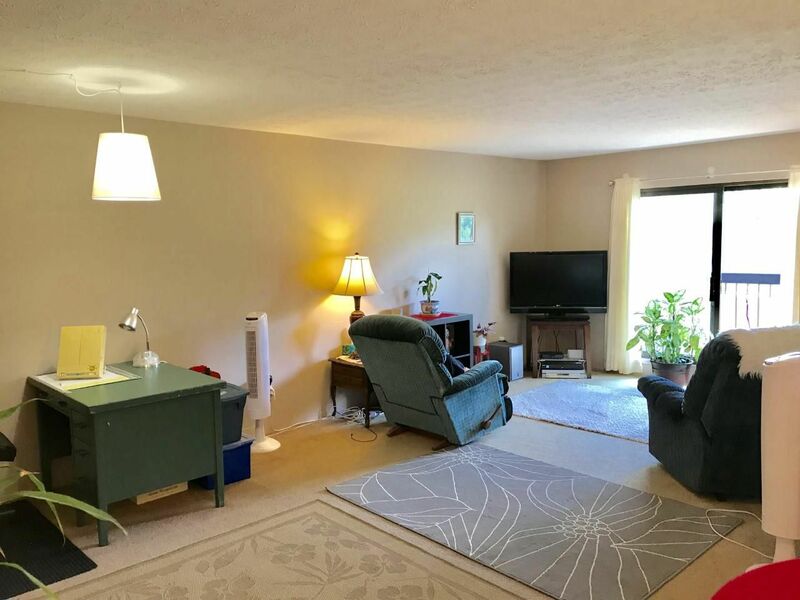 This unit looks onto a well maintained ball park and outdoor recreation facility giving you privacy plus a nice view of manicured fields off your 5 x 12 covered balcony! Public Open House on Saturday June 30th from 2-4pm and Monday June 2 2-4pm. Any and all offers will be looked at Tuesday July 3rd at 4pm. Sorry, no pets in this one.